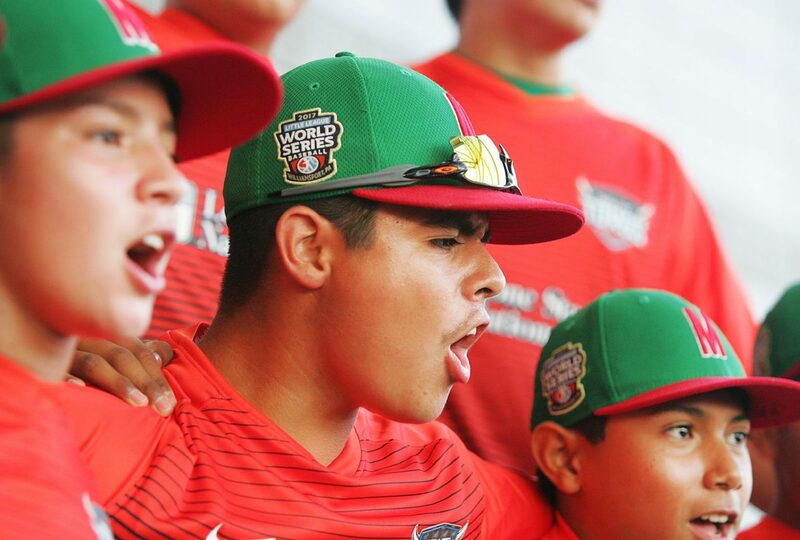 Mexico Little League World Series team members enjoy the festivities as they are honored at H-E-B Park September 16, 2017 in Edinburg. EDINBURG — Praise and celebration broke out Saturday evening at H-E-B Park as a group of youngsters from Reynosa were honored for their performance during this year’s Little League World Series International Championships. 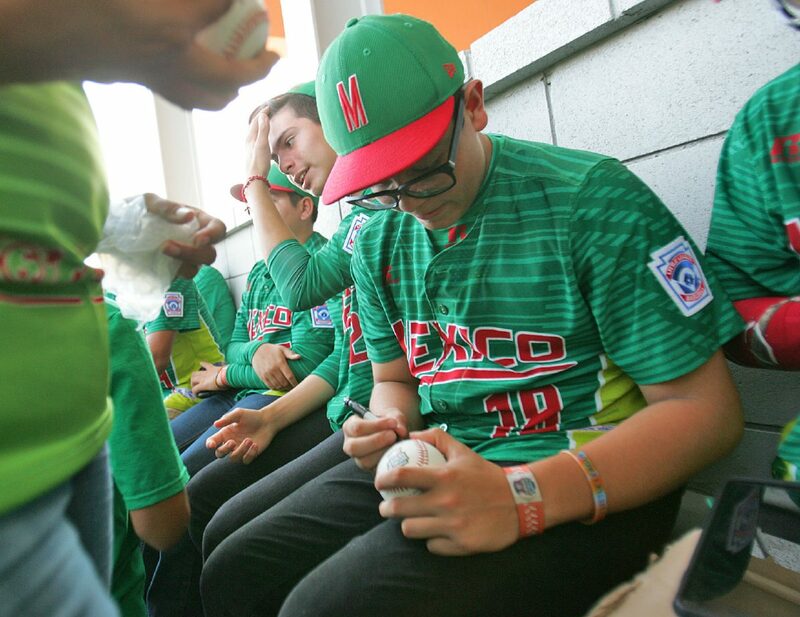 The Guadalupe Treviño Kelly Little League baseball team from Reynosa earned the right to represent Mexico at the annual tournament in Pennsylvania last month. There, they advanced all the way to the international bracket title match against Japan, where they lost 5-0. The RGV Toros football club hosted the recognition for the team as part of their Mexican independence day event preceding their Saturday night game. “Reynosa is an extended community of the Rio Grande Valley and it’s important to showcase the solidarity between neighbors and how these young men represented the region,” said Bert Garcia, president of the RGV FC Toros. Reynosa Little League team member Diego Díaz signs an autograph as his team was honored at H-E-B Park Saturday, Sept. 16, 2017 in Edinburg. Mexico Little League World Series player Jorge Lambarria, and other team members, chant on stage while being honored at H-E-B Park on Saturday, Sept. 16, 2017, in Edinburg. 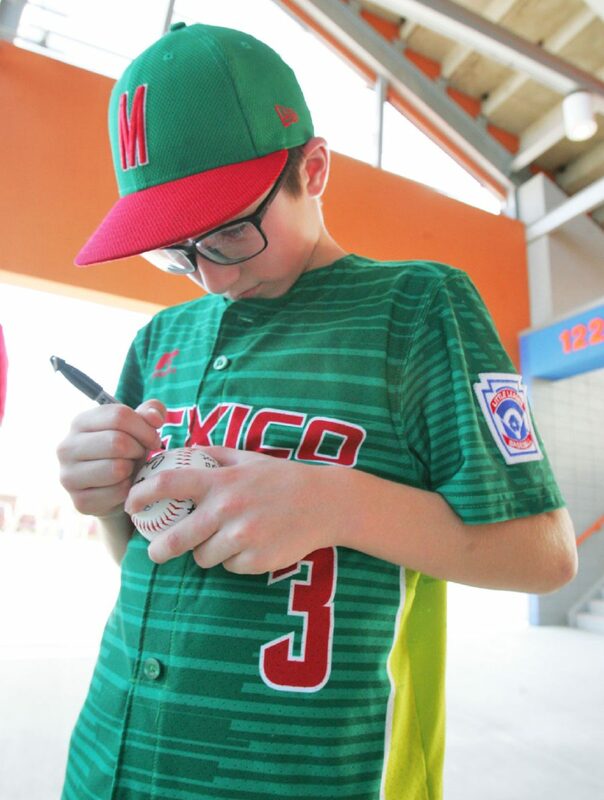 Reynosa Little League team member Jorge Garcia signs an autograph as Mexico Little League World Series participants were honored at H-E_B Park on Saturday, Sept. 16, 2017, in Edinburg. 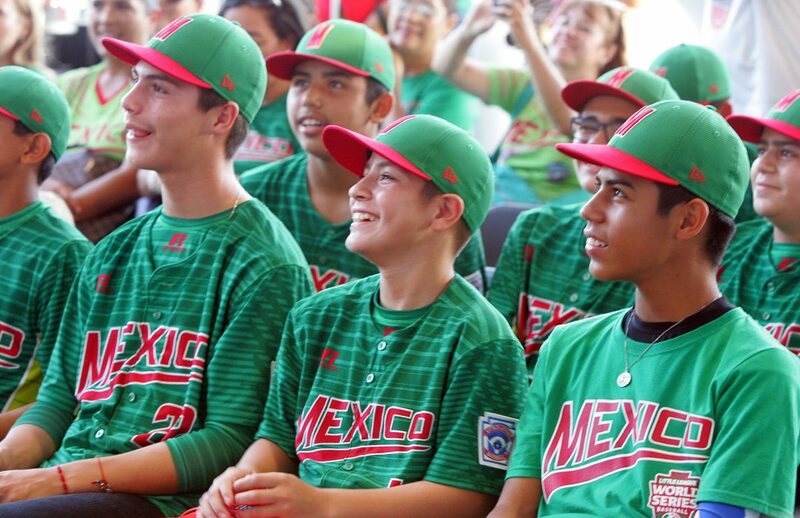 The Reynosa team became hometown heroes across South Texas and Northern Mexico with their come-from-behind, scrappy performance at the Little League World Series, which was televised internationally. Diego Díaz, 12, who was number three on the team roster, played second and third base for the team. He said he was thrilled about his experience and making it to the finals. Díaz dreams of one day playing professionally for the Houston Astros. “I’ve been playing baseball since before starting school, since three years old.” Díaz added. The Reynosa Little League team and their families were presented with personalized Toros jerseys in the ceremony before the soccer team took on Reno 1868 FC. Yajaira Flores, director of booking and marketing for H-E-B Park, said they chose to honor the team for representing not just Mexico, but the Rio Grande Valley, as well. The game-day festivities and celebration of Mexican independence day at the park included a performance by Grupo Siggno at the annual H ‑ E ‑ B CarneSazo South TX Fest.